Ten things coming up in the Worthing area! 1 Music. The Carpenters Story comes to Theatre Royal Brighton on Sunday, September 2 at 7.45pm. Spokeswoman Laura Poncia said: “This highly-acclaimed concert-style production celebrates the music of one of the most successful pop duos in music history, Richard & Karen Carpenter. First created back in 1986 by its founder Phil Aldridge, The Carpenters Story was one of the UK’s very first tribute-style shows of its kind. 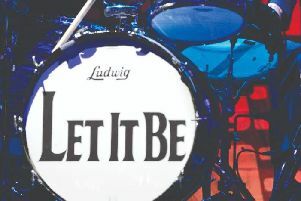 Now over three decades later the show has stood the test of time, having entertained sell-out audiences throughout Europe and the rest of the world. Claire Furley remains unsurpassed in her uncanny representation of Karen Carpenter. Her stunning vocal harmonies, combined with state-of-the-art video projection and lavish musical arrangements, will take audiences on an incredible journey through the uniqueness that truly was The Carpenters. The show features all the timeless classics, including Superstar, (They Long To Be) Close To You, We’ve Only Just Begun, Yesterday Once More, Top of the World, Please Mr Postman, Rainy Days and Mondays, and many more.” Tickets on 0844 871 7650. 2 Music. Sussex-based folk pop/rock band the Purple Shoes will be presenting an evening of live music at the Ropetackle Arts Centre in Shoreham on September 1. Seadogs and Troubadours will showcase performances from some of the finest local artists on the contemporary folk scene, they promise. The Purple Shoes, fronted by Shoreham based singer/songwriter Marie Dance, have steadily built a following across the UK and Ireland following the release of Marie’s debut album Things have Changed and the band’s British tour at the end of last year. Marie said: “With a sound that reflects the influence of popular acts such as Fleetwood Mac, Tom Petty and the Travelling Wilburys, The Shoes will perform a set of audience favourites and will also showcase material from the forthcoming album. The band also hint that there will be some surprises in store on the night. The line-up also includes contemporary folk ensemble Bird in the Belly. The show will open with a performance from acclaimed sea shanty vocal group the Wellington Wailers. Recent headliners of this year’s Falmouth International Sea Shanty Festival, the group have also been played on Mark Radcliffe’s folk programme on Radio 2.” Tickets £10 on 01273 464440. 3 Music. Crawley-based singing group The Spinettes are back on the road with more village-hall type dates in aid of Alzheimer’s. Dates coming up include Sept 9 at Angmering Village Hall. Reserve your tickets via email or phone: thespinettes@hotmail.com or 0751 5552491. 4 Theatre. Durrington Theatrical Society Youth are putting on The Wind in the Willows at the Barn Theatre, Field Place, The Boulevard, Worthing from Tuesday-Friday, September 4-7. Among the roles are: Mr Toad – Cameron Nisbet; Badger – Freddie Newman; Mole – Poppy Buckley; and Ratty – Luc Oratis. Director – Julie Jordan; musical director – James Lelean; choreographer – Kate Rodriguez. The Wind in the Willows by Kenneth Grahame, music, lyrics and adaption by Mike Carter, will be performed at the Barn Theatre, Field Place, Worthing, Tuesday to Friday, September 4-7 at 7.30pm. Tickets from £10 or £8 for under 16; telephone 01903 872073; email dtsbookings@yahoo.com. 5 Art. Sussex Sights by Len Brook is a new exhibition at Colonnade House, Worthing. Spokeswoman Clare Halstead said: “We are welcoming photographer Len Brook to Colonnade House with his exhibition of much-loved Sussex sights. Some are familiar favourites and others are hidden secrets that he has hunted out and captured on camera using his local knowledge to find the best places and times of day. Take home a beautiful print of a landscape view to cheer you up when the summer sun finally disappears.” Until September 8, Tues-Sat, 10am-5pm. 6 Music. Hannah Trigwell, the YouTube sensation, guitarist, singer and songwriter, who is about to release her debut album of original songs, Red, will be performing at The Brunswick, Brighton on September 5. 7 Music. Nicola Benedetti returns to herald the start start of Worthing Symphony Orchestra’s 2018-19 season on Sunday, September 2 at 2.45pm at the Assembly Hall, Worthing. Tickets on 01903 206206. 8 Theatre. Award-winning singer-songwriter and former Worthing High student Paul Diello brings his hit new show back to his old home town. Epicene will be at St Paul’s in Worthing on September 7. Paul is promising a colourful, camp cabaret extravaganza – a reimagining of classic songs originally performed by female artists including Kate Bush, Joni Mitchell and PJ Harvey among others Paul is inviting you to dance, sing, laugh and cry as he interweaves his stories of childhood out-castings and social misfittery into a string of well-loved compositions, promising every sense will be tantalised in an outrageous, rainbow-coloured romp. 9 Theatre. The Bognor Institute of Laughter presents its first comedy play – Bognor Sunshine Today, a recreation of a fictitious local TV news programme. Despite all the efforts of its glamorous presenter, Amanda Forthright, the evening bulletin goes horribly wrong… Friday, August 31 – Regis Centre, Bognor Regis. 10 Music. The next Last Friday Concert will feature a musical Chichester family at St George’s Church, Cleveland Road, Chichester, on Friday August 31, starting at 7.30pm. The Luc family will be playing piano and cello works by Beethoven, Brahms, Chopin, Rachmaninov, Martinu and Gershwin’s Rhapsody in Blue for piano duet. Anva (father) is a piano tuner and Yuriko (mother) teaches Japanese and the piano. Imy and Maria are at the Royal Northern College of Music in Manchester. Kenji is studying at Chetham’s.